When done correctly, stationary docks are secure extensions to your home. A safe, time-proof stationary dock begins at the ocean floor. 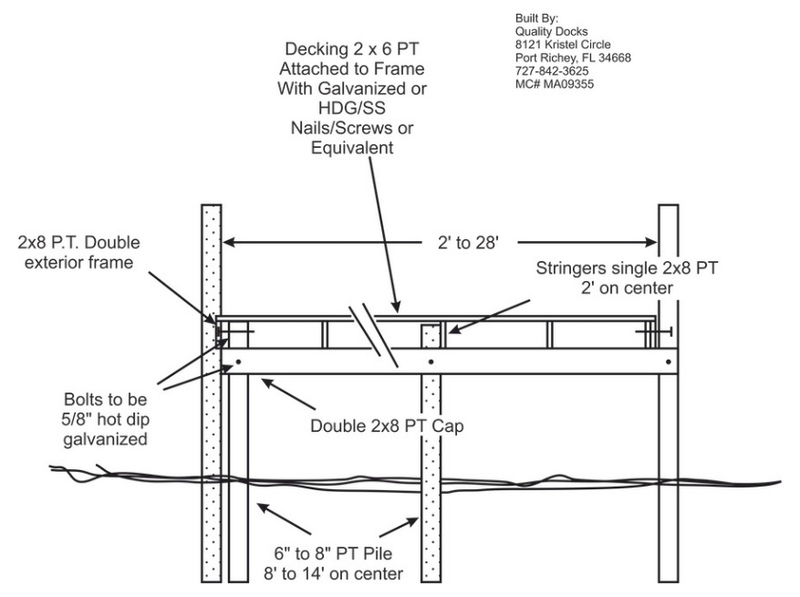 When pilings have been installed correctly, the whole dock gains a stable foundation. 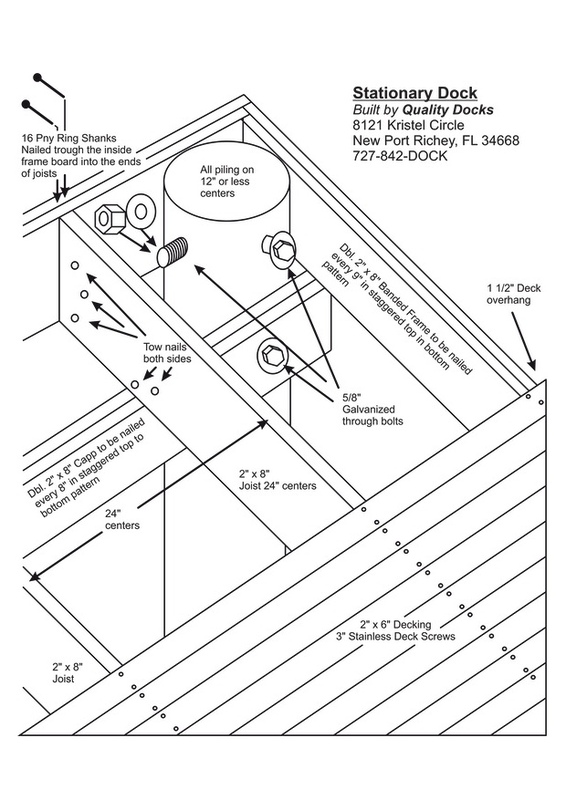 Improper installation can, and will, lead to several problems with your dock, then there are a million things that can go wrong. Our decades of experience allow us to excel at all the complexities in dock piling installation. The entire process is carefully planned and professionally executed. 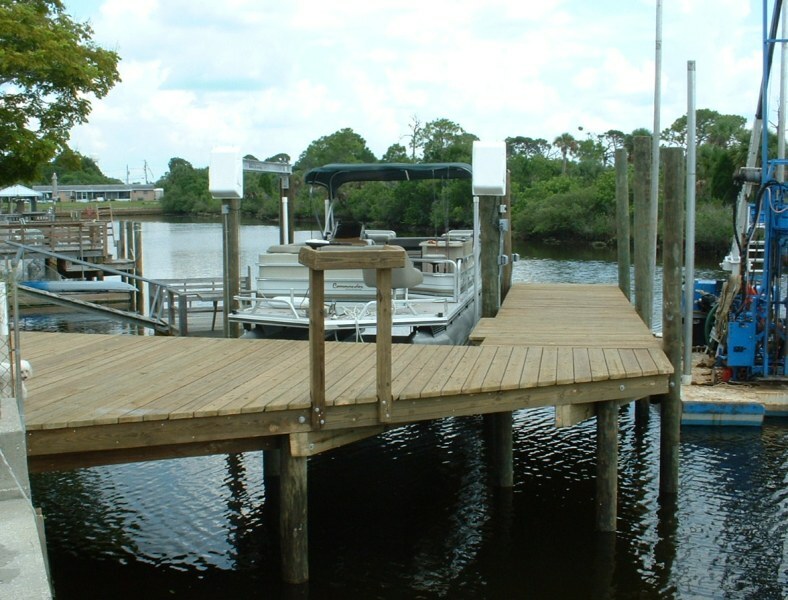 We maximize your docks security by carefully considering water depth, the seafloor substance, and your dock size. Our standards help your dock stand the test of time despite what mother nature throws your way. – CUSTOM FIT: Your dock is carefully based on your location’s unique requirements. – CAREFUL CONSTRUCTION: Built on piles which are jetted and hammered, or drilled, into a secure underwater base. 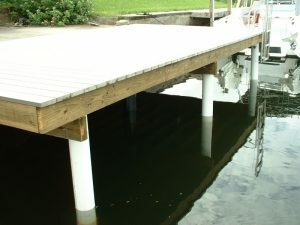 – GALVANIZED AND RUST RESISTANT: Your dock piling caps (underwater dock-base) are piled with rust-resistant 5/8 galvanized bolts. 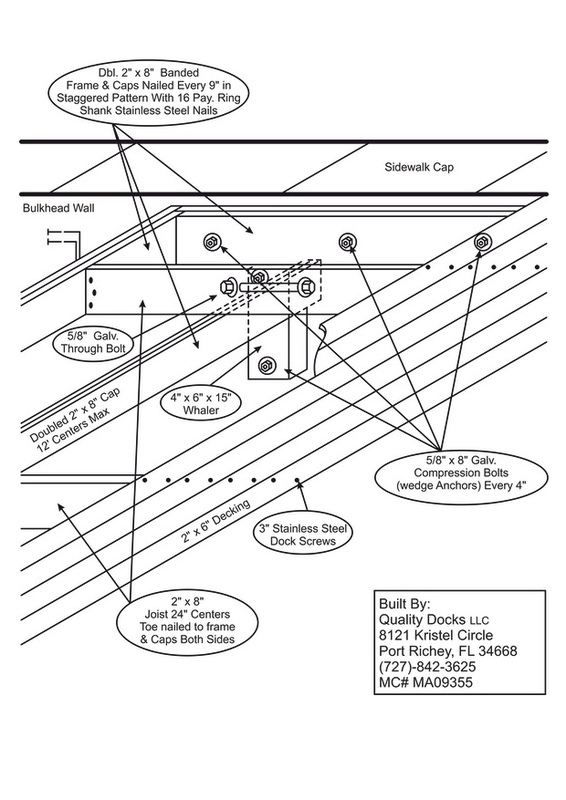 – MAXIMUM SECURITY: In order to give your dock maximum stability and balance, all frameworks are bolted at all their corners and centered piles with the same galvanized bolts.